Experts call it the new “gig economy,” where short-time, freelance jobs are becoming more popular and in demand compared to permanent employment. In a recent episode of the podcast “Work and Life with Stew Friedman,” Michigan Ross Professor Sue Ashford discusses some lessons learned from her research on the subject. Overall, gig workers experience “more highs, more lows, and more oscillations between highs and lows” than people in traditional job situations, Ashford notes in the podcast. Ashford discusses four effective coping mechanisms used by gig workers in her research: connecting to other people, connecting to a place, establishing a routine, and finding a purpose. Ashford also addresses some other subjects on the podcast, including how to grow as a leader and why it’s important to seek feedback from others. 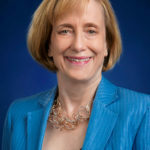 Sue Ashford is the Michael & Susan Jandernoa Professor of Management and Organizations and the Chair of Management & Organizations at the University of Michigan Ross School of Business. She is also a Faculty Associate at the Center for Positive Organizations. This story was originally published as a Ross Thought in Action article.